It is the doomsday scenario for Team Sky and Chris Froome: at the end of a season that has brought them unprecedented success on the road, a story that could bring it all crashing down, and leave their already dented reputation close to unsalvageable. On 7 September, after stage 18 of the Vuelta a Espana, Froome gave a urine sample that showed the presence of anti-asthma drug salbutamol at double the permitted concentration. Salbutamol is not a banned substance. Froome did not require a therapeutic use exemption (TUE) to take it. But there is a legal threshold that cannot be exceeded; unless Froome can explain that adverse reading, he faces both a ban and the prospect of being stripped of his Vuelta crown. That much is simple. Much of that around is not. There will be the immediate assumption from some that Froome has been caught cheating, another in the sad litany of cycling superstars to have ridden a shortcut, to have let down both the sport and its long-suffering devotees. Except cheating with salbutamol would not just be an extraordinarily amateur way of attempting to secure an unfair advantage but one almost guaranteed to fail. The inhaled form is literally kids' stuff, the entry-level asthma medication routinely prescribed by GPs. It is a performance enabler rather than a performance enhancer. It relieves constriction in the airways but does not make them bigger. Repeated studies have shown negligible benefit to athletes without asthma. It does not give you some sort of super-lungs nor allow you to take in more oxygen than otherwise. If ingested orally over a significant period of time, rather than through an inhaler as used by Froome, there is limited evidence of a small anabolic benefit, of the type that might help slightly in a brief sprint. But taken in those amounts would also bring palpitations. In terms of helping in a three-week Grand Tour it would be like taking a double espresso to a gun-fight. Beta-2-agonists, the class of drug that salbutamol belongs to, stand out clearly in a urine sample. Froome, as leader of the Vuelta from the third stage on, knew that he would be tested after every day's racing. He has also made no secret of his salbutamol use - entirely legally - in the Vuelta's latter stages. When filling in his doping control form, as he would do for each of those tests, he would have entered salbutamol in the section asking if he were taking any medication. In other words, he would be taking something that was not performance-enhancing, that was certain to be discovered and that he had repeatedly informed the authorities about in any case. It would be deception as idiocy, duplicity by the guileless. This is not to exonerate rider and team. For any professional athlete in any sport, a dope test is their chance to show the world that they are clean, that their performances can be trusted and their achievements admired. Sky have gone through 18 months in which their reputation has been repeatedly questioned - after the revelation that Bradley Wiggins had been given a TUE for an intra-muscular injection of a corticosteroid before the Tours of 2011 and 2012 and the Giro of 2013; after the 14-month investigation from UK Anti-Doping was unable to establish beyond doubt what was in the mystery package delivered to Wiggins at the Criterium de Dauphine in 2011. 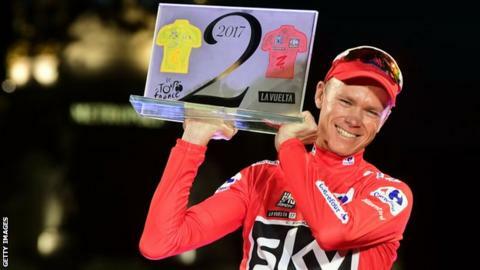 Froome has been the golden child, the one big never-ending good news story throughout that period - four Tour de France titles, joining an elite group of only four other men in history; the first Briton to win the Vuelta, only the third man ever to win Tour and Vuelta in the same season. You would expect an organisation like that to do absolutely everything to make sure an asset like him could not fall foul of any error, to not just wrap him in cotton wool but to check daily where the cotton came from and whether the wrapping met clearly agreed legal standards. The UCI's rules on salbutamol without a TUE are clear. In inhaled form you are permitted to take a maximum of 1600 micrograms over a 24-hour period, in divided doses, and not more than 800 micrograms in 12 hours. The threshold for the allowable concentration of the drug in your urine is also stark: no more than 1000 nanograms per millilitre. A study carried out in 2014 by Dr John Dickinson at the University of Kent, published in the Clinical Journal of Sport Medicine, indicated that dehydration may have a significant effect on that. Twenty of his 34 subjects showed concentrations above that Wada threshold when they were dehydrated by more than 2% of their body weight. Dickinson's conclusion was clear: "Asthmatic athletes using salbutamol should receive clear dosing advice and education to minimize the risk of inhaling doses of salbutamol that may produce urine concentrations of salbutamol above 1200 ng/mL." Team Sky have defined themselves by two things: a zero-tolerance to doping, and success by marginal gains. Froome has neither been provisionally suspended nor convicted of an anti-doping rules violation. His asthma should also not be in question: in the last days of the Vuelta it was evident every time I spoke to him, his chest often wheezing, coughing fits coming mid-interview. But his adverse finding indicates that Sky have fallen short on at least one of their benchmarks once again. To allow their star rider to take a drug either in the wrong quantity or in circumstances that had been flagged as potentially dangerous would be another grievous and unnecessary self-inflicted wound. It is less marginal gains rather than marginal losses, a team that promised to be better than anything that had come before but has instead repeatedly fallen short of its own self-imposed targets. Froome's best chance of officially clearing his name is likely to be by replicating in a laboratory his physiological state at the end of that fateful stage, demonstrating in a pharmacokinetic study how his body could have produced that result. It will not be easy. He did not nudge past the accepted threshold but exceeded it by 100%, in a race when not a single of his other tests, all taken under intense physical duress, broke it by 1%. It was also something tried by Italian rider Diego Ulissi when he recorded a reading of 1,920 ng/mL in 2014; in special tests done in Switzerland he could not replicate that result, and served a nine-month ban as a result. Either way it is unlikely to be a quick process. It has been almost three months already since Froome and Sky were informed of the adverse finding, and could be at least as long again until a resolution is found. In the meantime the reputational damage may already be done. For those who never believed there will be nothing that can change their opinion. For those that did and now doubt, there is that familiar sense of unease, and of disappointment: why again, what to truly trust?